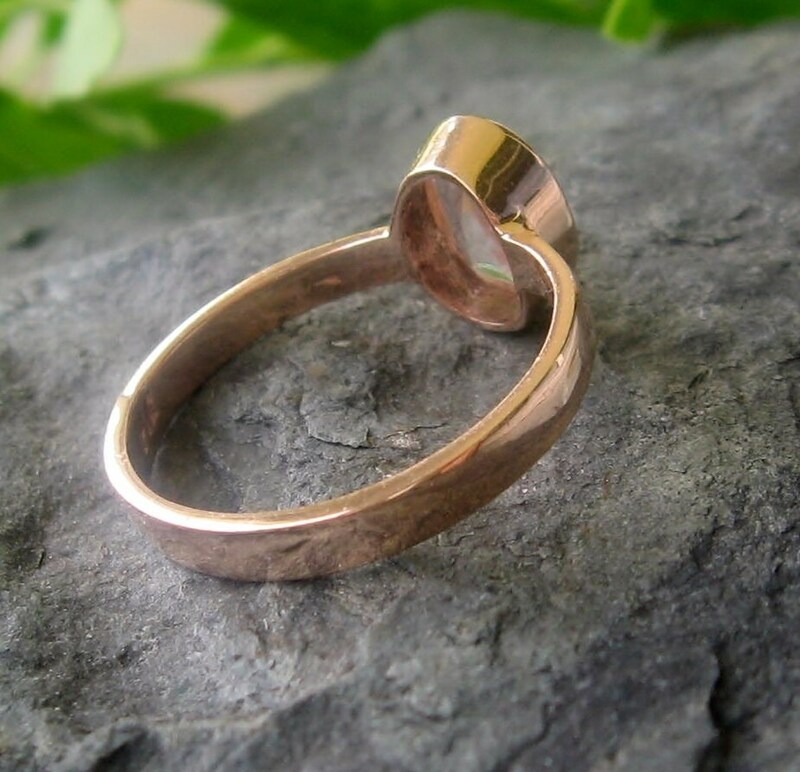 A modern alternative the the traditional engagement ring. 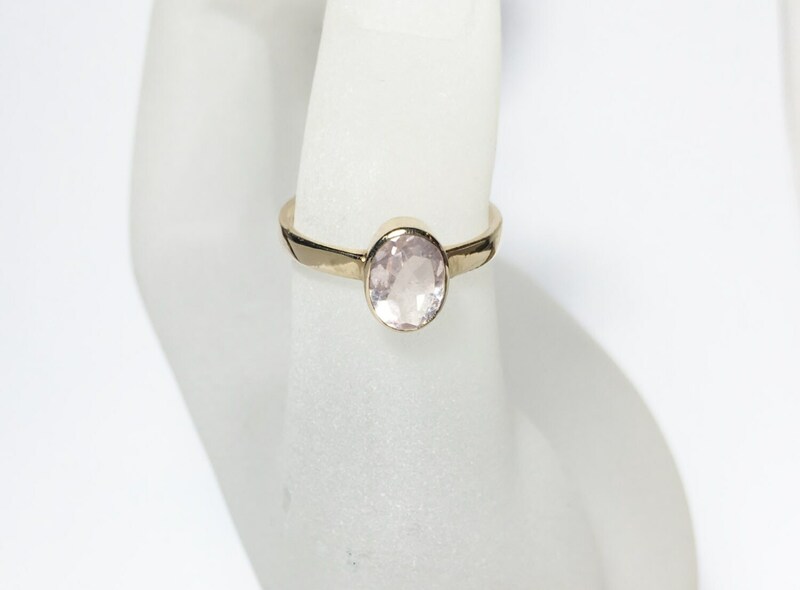 Featuring ~ 8x6mm Morganite gemstone set in a 14k Yellow gold bezel setting. The bezel is open underneath to let the light shine through showing off the beauty of this gem. 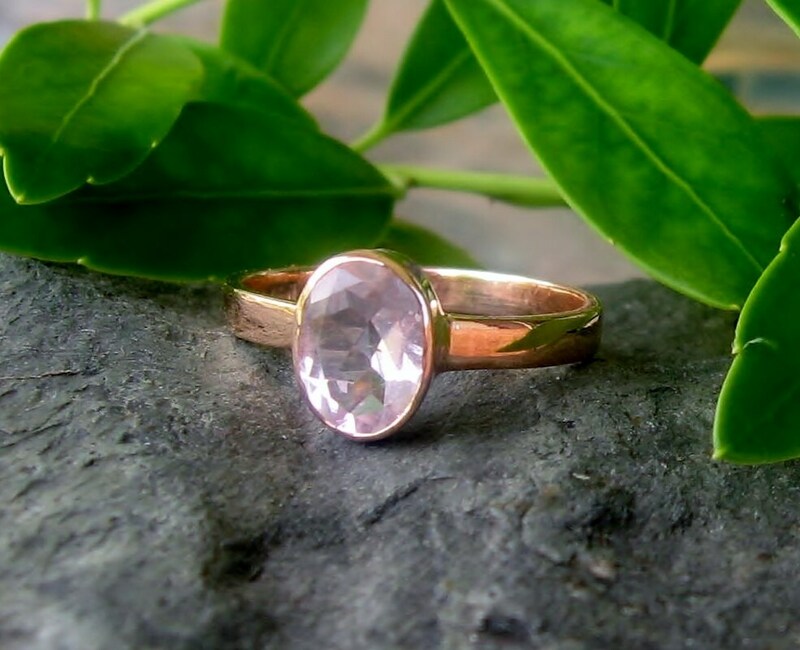 Morganite is a beryl and in the same family as Emeralds and Aquamarine. 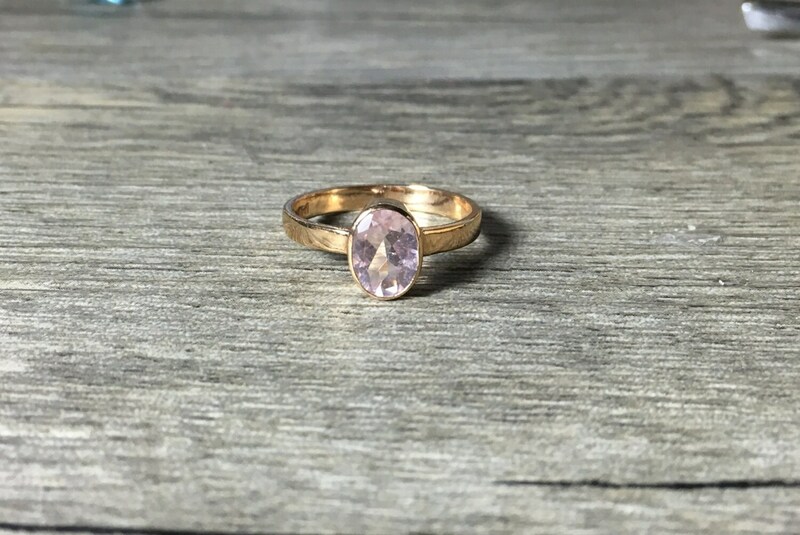 This stone boasts a lovely peachy/pink/lavender coloring depending on the lighting.